Top ten lists are awesome! 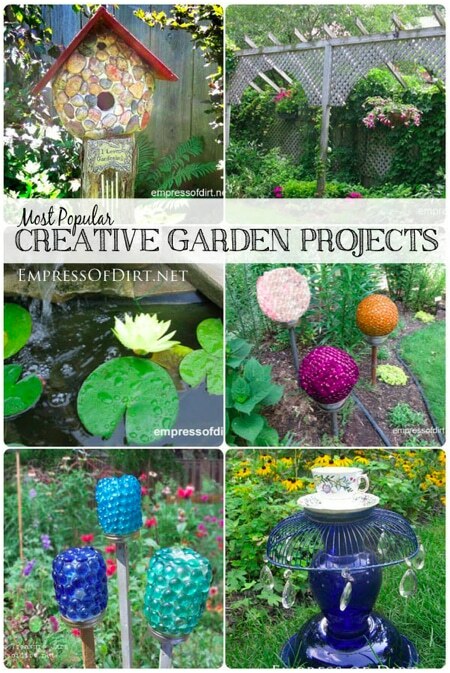 And here is a gathering of some of the best home and garden DIY projects out there. Carefully culled from reader responses, this list links you to fabulous projects like stone birdhouses, garden treasure jars and ideas for placing privacy screens in your yard. With Spring upon us, you’ll have no shortage of creative projects to enhance your home and garden.